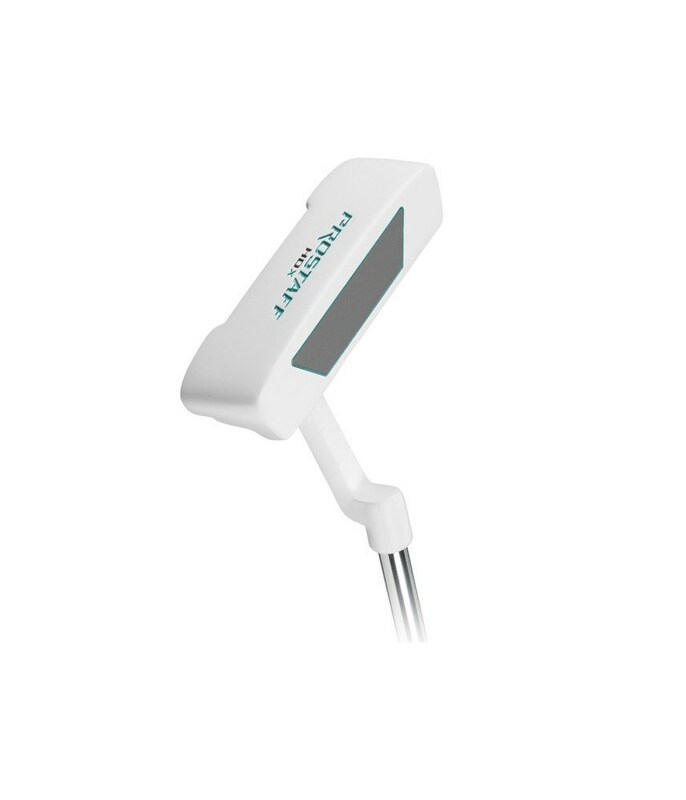 Great product who wants a basic golf equipments. It's a good bargain for this low price. I offer this products for the beginner. Matériel très léger et le choix des clubs est performant. Pour mon niveau débutant, ce set est parfait. Je regrette juste que le putter soit un putter lame, je préfère de loin les putter maillet, plus facile pour débuter. beginners ladies set bought as present good value as far as I can tell with cart bag and clubs can't work out what HDX in the description of the set means though, probably a technical term that becomes apparent as you become a regular golfer?, even lady at golf online could not help me with this query. 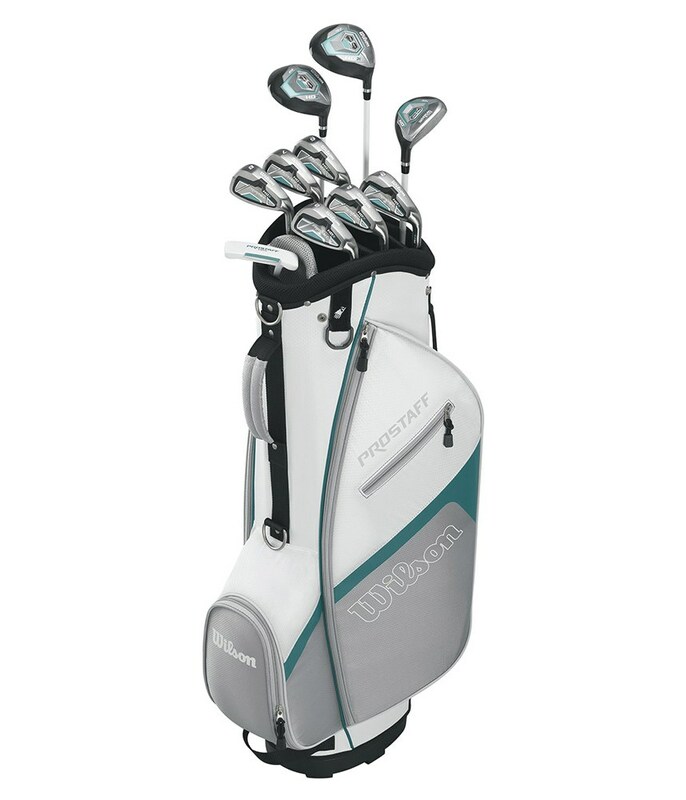 My wife is a relative newcomer to golf and I wanted to buy her a first set of clubs. This set looks good and plays well and is an excellent starter set. 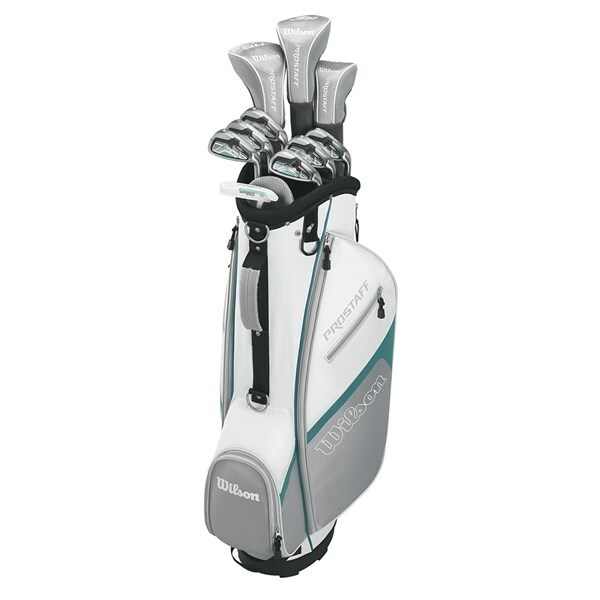 Everything that you need from bag to putter. 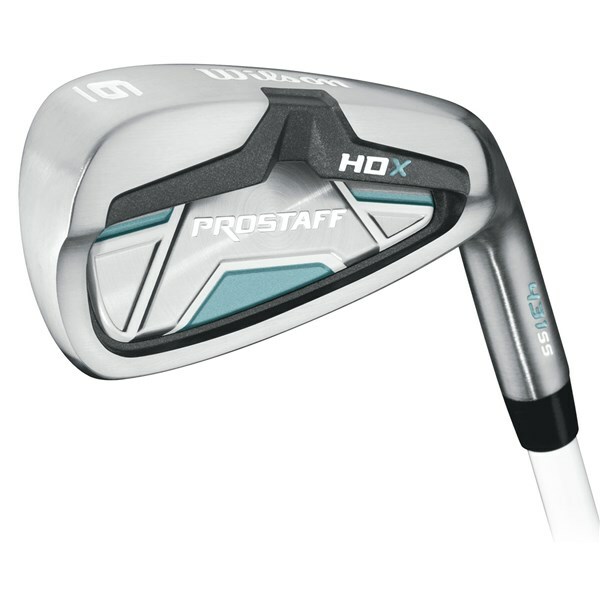 Good quality and from a real golf equipment manufacturer. Dobra cena w stosunku do jakosci. Kije wiele wybaczaja i sa lekkie ( Grafitowe shafty). Polecam. 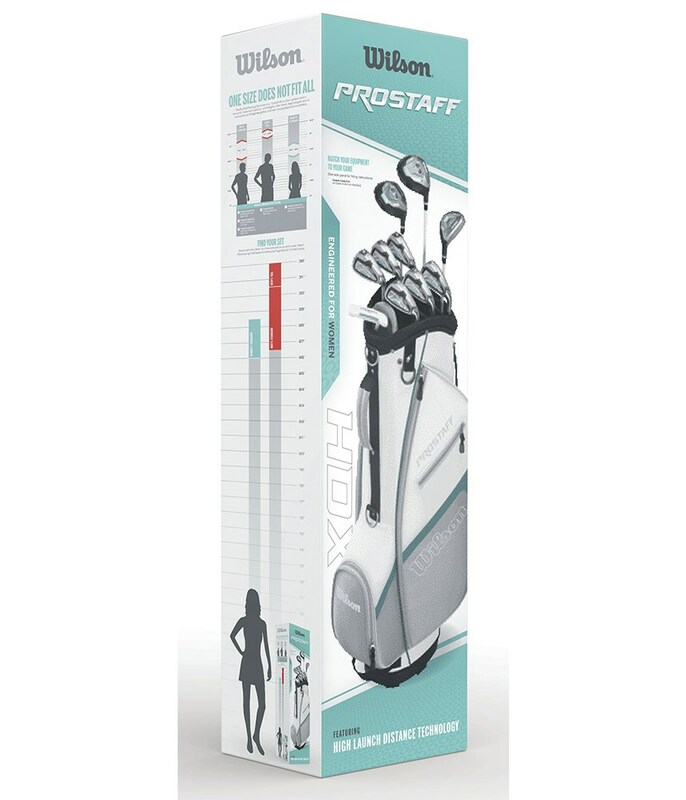 The Wilson Ladies Prostaff HDX Package Set has been created to allow the beginner or game improver golfer the perfect opportunity to enjoy learning and get better. 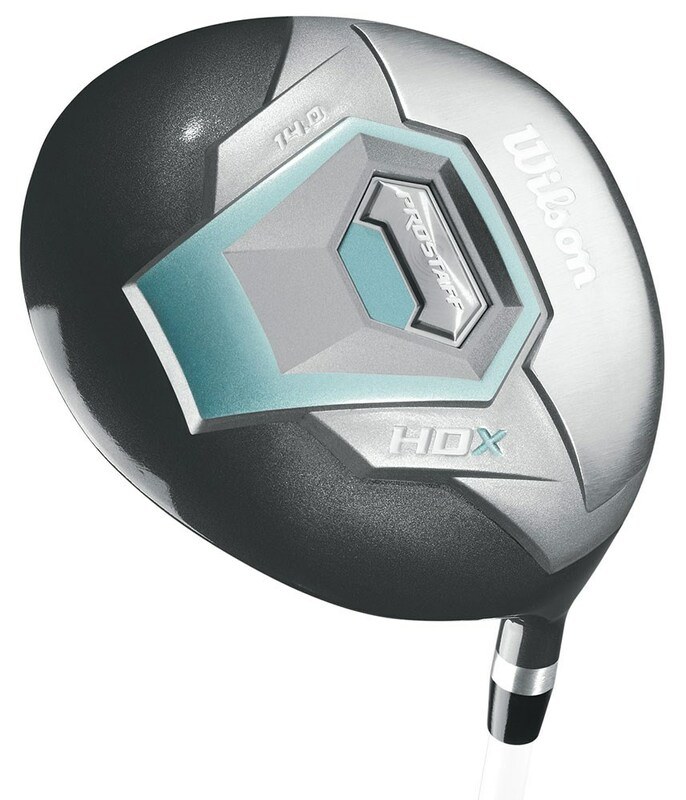 Wilson have designed and created the Prostaff HDX Package Set to maximise distance, accuracy and improve your overall performance on the golf course. 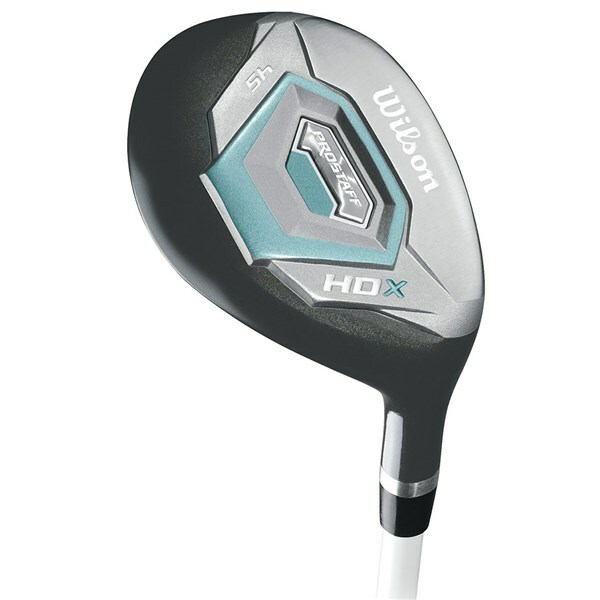 Each of the clubs feature a low CG (centre of gravity) and an oversized design to improve the stability of the head at impact. Providing a high forgiving ball flight and making those bad shots just a little more accurate. 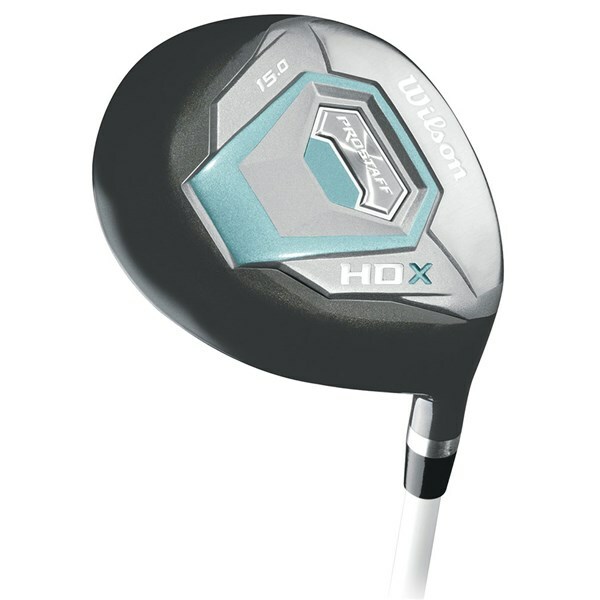 The shafts have been made from a quality lightweight graphite that features a low kick point. This low kick point will help get the ball in the air throughout the whole set for improved carry distances without sacrificing accuracy. 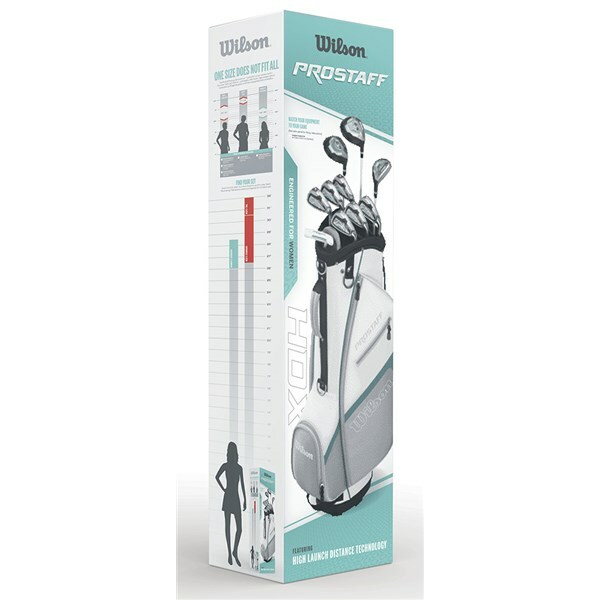 Although these are designed for ladies, they are the perfect height and weight for boys who are between junior and adults clubs. 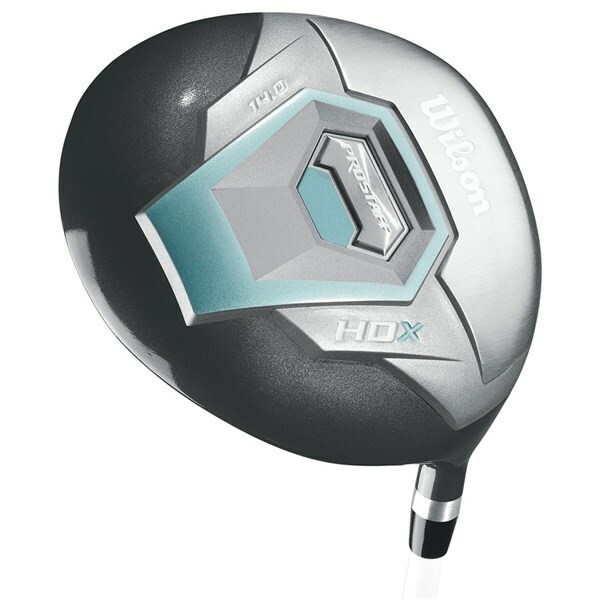 Driver - 14 Deg Oversized to offer greater forgiveness and accuracy. 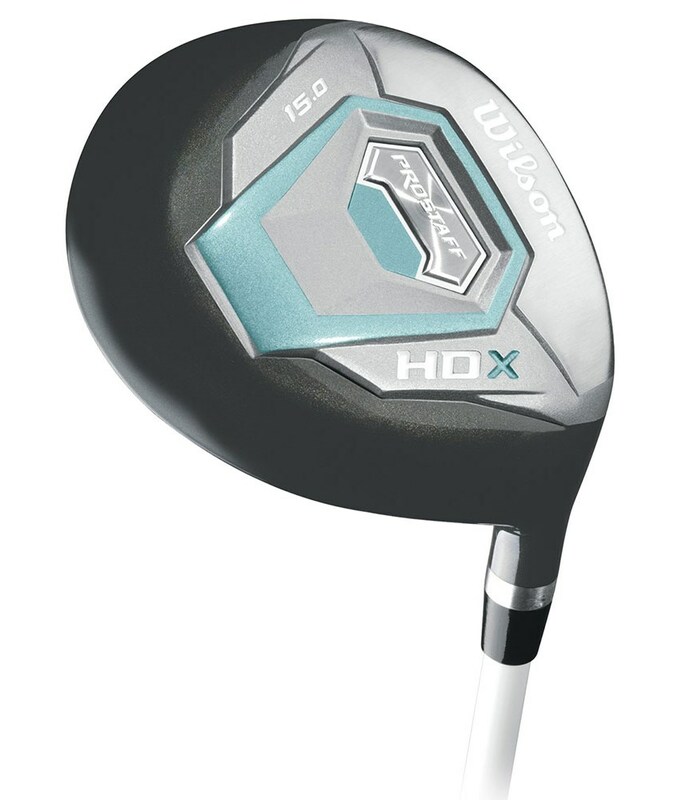 5 Fairway Wood - The oversized fairway will be the club that you tee off with as well as hit from the fairway on long holes. 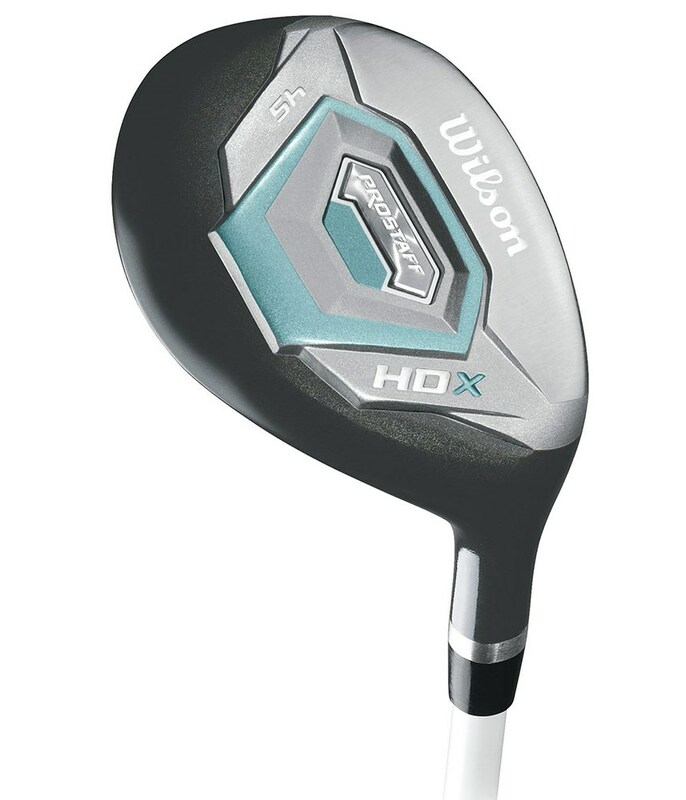 6 Hybrid - A head design that provides oversized forgiveness with maximum versatility so that you can benefit from using the club off the tee, fairway or in the rough. 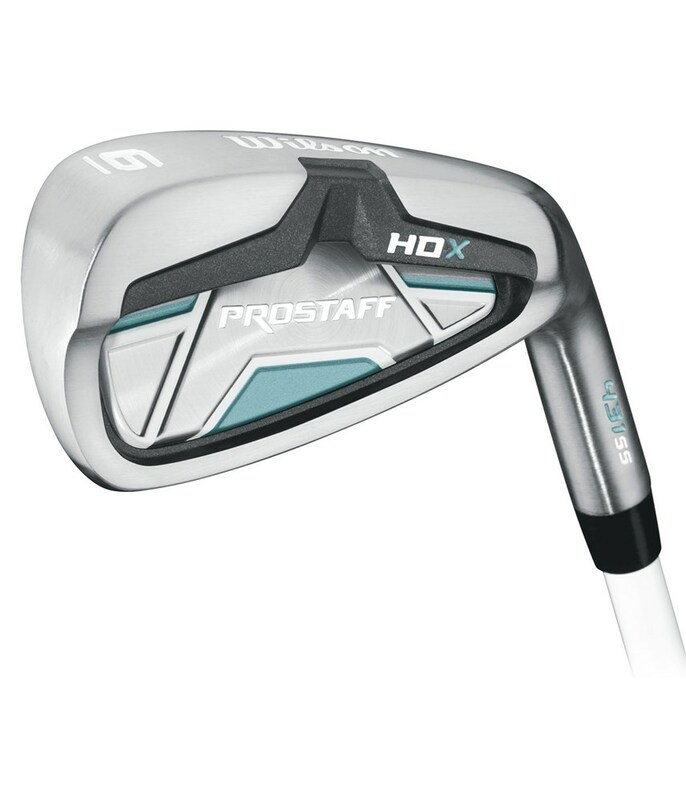 7, 8, 9, PW & SW Irons - The combination of large oversized head and low CG (centre of gravity) provide brilliant head stability to maximise forgiveness and accuracy. 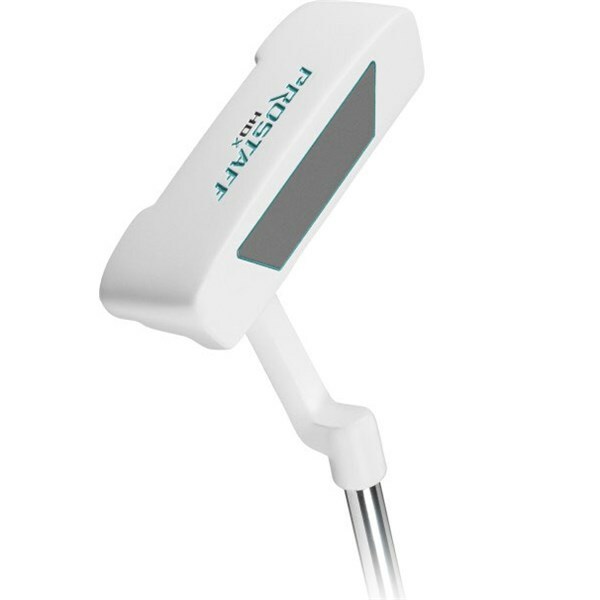 Putter - This heel and toe weighted putter will help you square the face up more frequently for better distance and accuracy control. 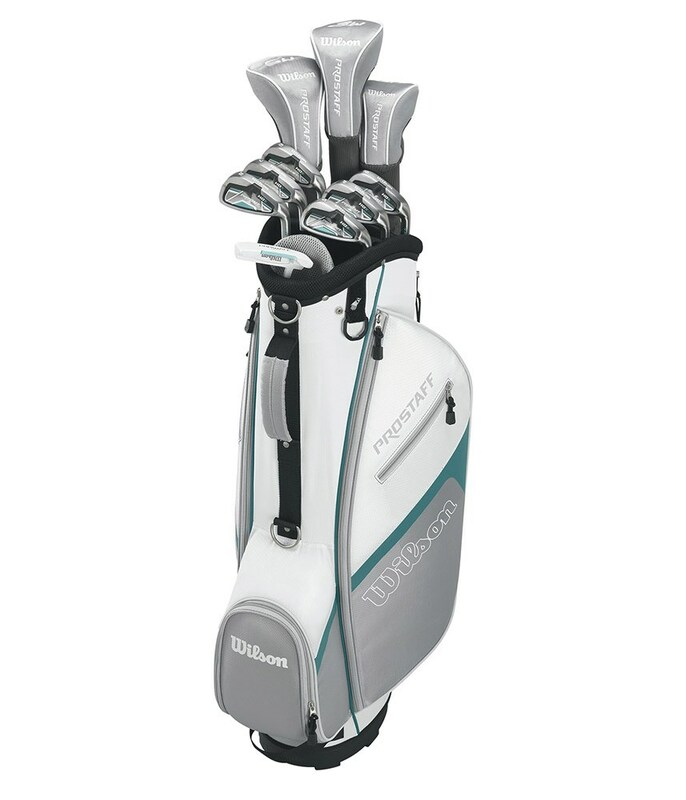 Cart Bag - Features premium styling, convenience and superior function. 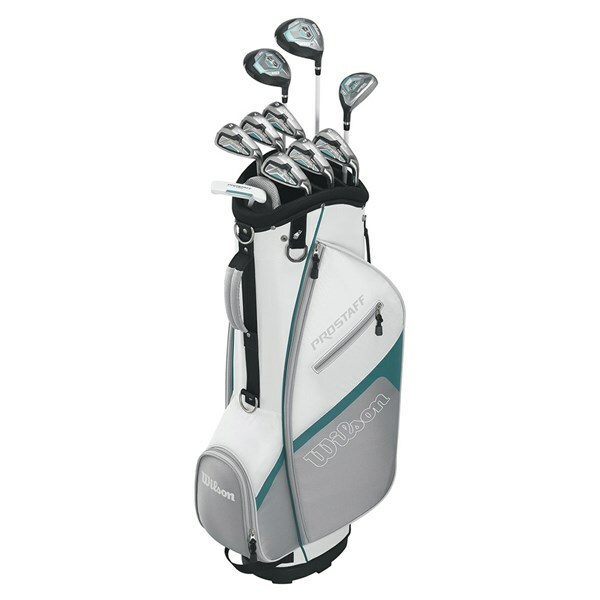 This stylish golf bag has plenty of room for all your clubs as well as storage room for extra clothing and other accessories. It is nice and lightweight with great versatility. You can carry in comfort or use it on a trolley.